We’ve all heard of planning a trip to Europe for the food, fun and Facebook photos, but not so much for the casinos. Forget Vegas: European countries play host to some of the best casinos in the world with many offering services which you may not have heard of before. We take a look at what casinos to visit when planning your next Eurotrip. 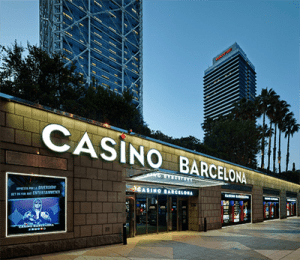 When you first walk into Casino Barcelona you will be asked to present identification, and you will be required to fill out a form including your name, date of birth, occupation, and where you are staying. You may be charged €4.50 depending on the day, but you will be printed a white paper slip which you can use to re-enter if you wish to leave. The casino can be considered quite small in comparison to Las Vegas casino floors – it is set at 33,000 square feet – but this is still quite large for European casinos. It is spread out over two floors with the main gaming area situated downstairs. The most unique detail to Casino Barcelona however, is the use of tablets at the tables. These tablets allow you to pick your language – incredibly helpful if you are an English traveller – and your balance will appear in the corner once you hand the cash to the dealer. Do not be mistaken in thinking these table games are electronic – the dealer still controls the show. Players simply make your bets by tapping the bet size and you can tap the preferred action, for example hit if you’re dabbling in some blackjack. The cards are still dealt on the table, but the advanced technology aids gameplay. For example, in 21 the cards dealt to you will appear on the table screen and the total value added up – no need to use your brain other than to remember the basic strategy. Malta isn’t considered to be a mainstream European destination but if you have the time, we recommend visiting the stunning island. It is home to many of our favourite software providers, including our favourite live dealer provider, Evolution Gaming, and has a total of four main land-based casinos across the tiny island. Our favourite, however, has to be Portomaso Casino. Since we have been there we can confirm the stream is indeed live – so you can play from the comfort of your own home while still getting in on the land-based casino action. You will instantly be signed up to be a member, and since the casino holds nightly raffles to win free cash and vouchers you will be added upon arrival with the winner announced over the loudspeaker. The most unique addition to this casino are the 3D pokies – fit with moving chairs, 3D glasses, and vibrating controls. It only accepts notes, but for five euro it is quite an interesting experience. If you enjoy freebies when travelling, head to this casino in Malta. The reception will sign you up – you will need your passport – and you will receive a membership card. You can then scan your card and receive a free complimentary drink, and a free voucher to use on the pokies. The casino feels a bit smaller, but still offers almost 30,000 square feet of gaming. 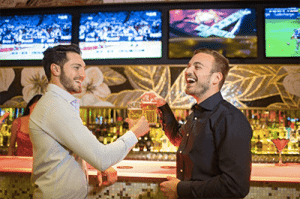 Additionally, there’s an incredible sports bar offering events aired live from all around the world. If you’re looking to get away from the Red Light District but still want to take a little risk, head Uptown in Amsterdam and you will find this hidden gem. If you’re a fan of bingo, you will find Live Bingo hosted here every Saturday night. 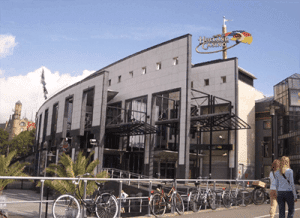 You can take advantage of their packages too, including bingo cards, drink vouchers, and free entrance to the casino – it is usually five euro to enter. Besides bingo, there’s an array of table games including poker, roulette, blackjack, and variants, plus the Money Wheel, and other exciting games. If you’re staying in Uptown, you will be able to walk there – just be careful not to be taken out by a bicycle on your way. 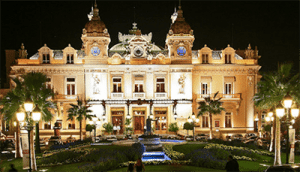 We couldn’t complete the list without including one of Europe’s, and the world’s, most famous casino – the Casino De Monte-Carlo. If you’re heading to Nice, we recommend taking a detour to this incredible casino if not for the gambling then for its surroundings – and if not for that then for the fact it was featured heavily in numerous James Bond films. The casino and it’s extensive gambling facilities are housed in the Belle Époque palace, which is surrounded by stunning gardens. Head inside for the extravagant, but traditional, décor and then a gamble. The casino houses over 1000 pokies, more than most casinos in Europe, and offers a huge variety of table games – specialising in Trente et Quarante, a 17th century French card game. If you can’t make it to Europe any time soon, but still want to play blackjack, roulette, the slots, and other casino games check out the verified online casinos listed in our table of recommended casinos above. Raging Bull Casino gets our number one vote for players from United States, which has some excellent welcome bonuses available for new players along with hundreds of real money casino games to choose from, with no downloads required.